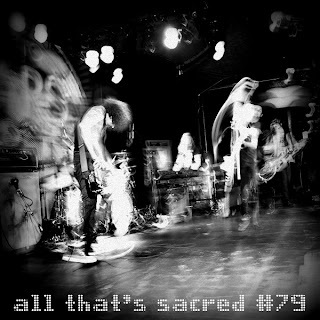 All That's Sacred, Episode #81 is now available. This podcast is probably best enjoyed in the same manner it was recorded - with a drink in hand. This for a couple of reasons... Mainly, it's the PJ20 weekend which is cause for celebration! Just the reports trickling in from the usual suspects leave little doubt that this event will be one to remember. However, not everyone can be there and that is cause for commiseration. I, like many of you, could not make the pilgrimage to Alpine Valley. The last few days have been a vicious cycle of checking various sites for details, expressing regret that I didn't sell plasma and cut coupons to find a way to be there, and then scheming ways for a last minute trip that would financially ruin me. Oh yeah, and all the while imbibing copious amounts of alcohol. Ultimately, I figured it would be a lot more productive and even therapeutic to dust off the mic and reconnect with a new episode.